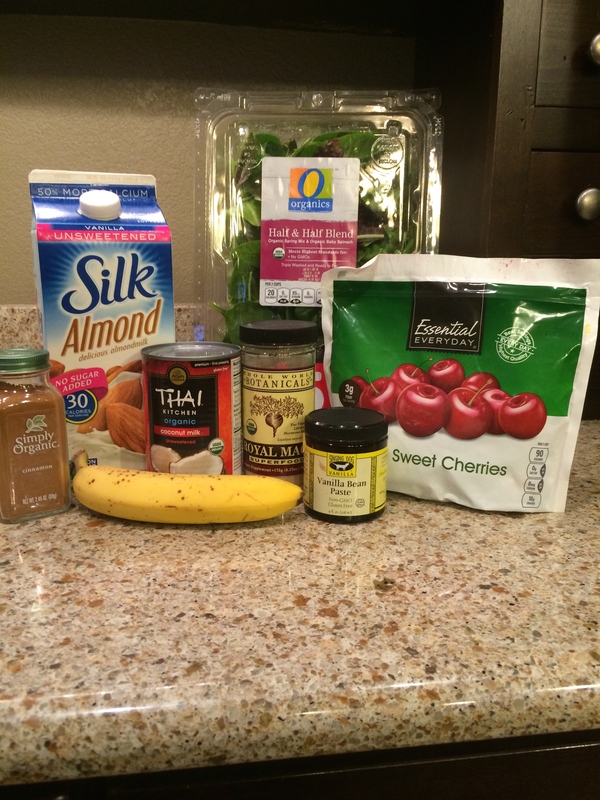 In my endeavors to increase consumption of leafy greens, I’ve become a big fan of “green” smoothies. They make for a super fast and nutrient dense breakfast or post-workout re-charge, and I’ve found with the right combo of add-ins, they taste great. There may be some nay-sayers out there who will balk at the absence of protein powder in this recipe. I’m not a fan of protein powders in general. However, I do usually scramble a couple of eggs, or if I’m in major rush, I’ll eat a hardboiled egg or two in the car to add protein to this “meal”. In a high quality blender pour in the almond and coconut milks. 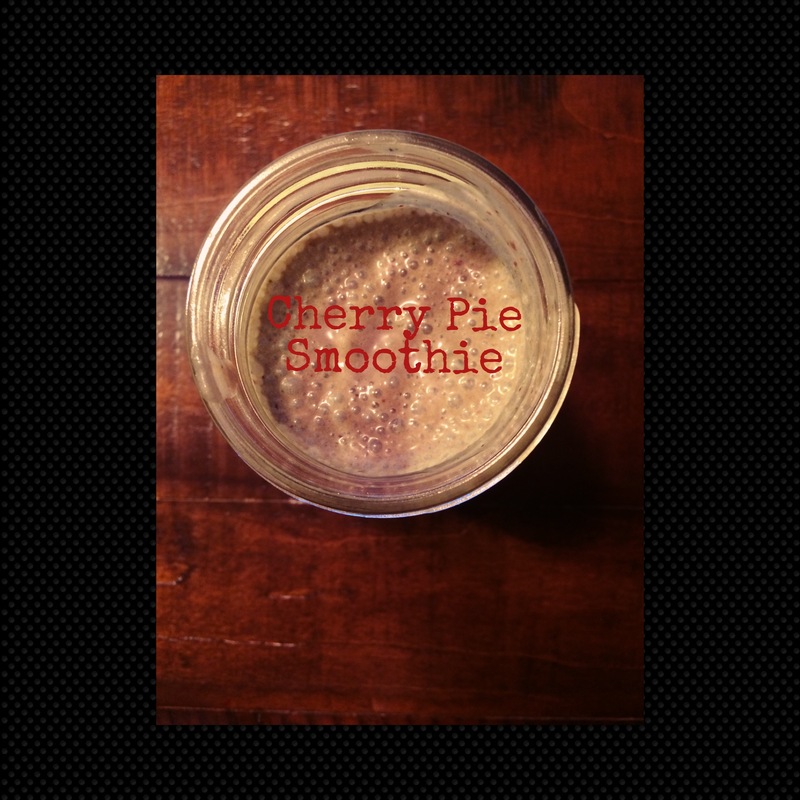 Frozen cherries, banana, maca powder, vanilla, and cinnamon follow. Top with greens and place ice cubes in last. Blend on a high or liquify setting for about 1 minute or until fully blended and smooth. Pour into two pint-sized mason jars (if you wish) and enjoy immediately. You can feel great knowing you’ve packed in some veggies and fruit and you didn’t even have to chew.